It is always important to try new cuisines and foods when you travel somewhere. Peru is known all over the world for its diverse and flavorful cuisine. If you are traveling in Peru, make sure to try all kinds of traditional dishes, street foods and even fine dining experiences. In this article , we list 3 important Peruvian dishes that one must try while traveling in this beautiful country. This is a famous Huancayo style potato-based dish that is often served in the restaurants of Peru. It consists of boiled potatoes which are served on a bed of lettuce and is garnished with a spicy cheese-based sauce. Sometimes, you may even get some olives on top of it. Though it is a simple and cheap dish, it is very popular across Peru and is certainly something you should try before going back home. If you are the kind of person who loves their beef, look no further than Lomo Saltado. This dish consists of sliced beef which is stored fried with a number of aromatics. You can expect to recognize garlic, cumin powder, tomatoes, and onion flavors in this dish. It is served with potatoes, parsley and white rice. It is also important to add a liberal amount of black pepper to the dish, as it is best had spicy and pungent. This complex dish is a signature dish of Peru and is not to be missed. 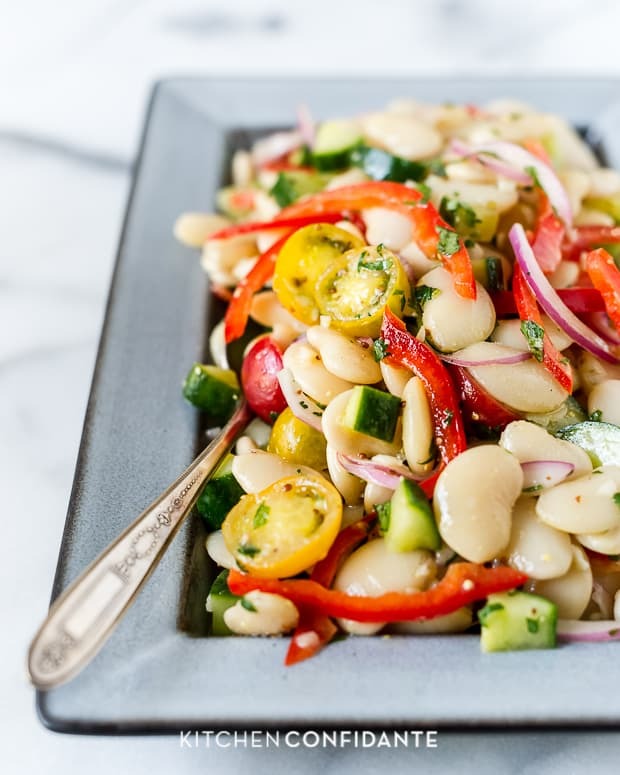 If you are a vegan or wish to try something that is not meat-heavy, you can try the Lima Butter Bean Salad. As you may already know, beans are widely consumed in the Latin American countries and are prepared in different styles. In Peru, Lima butter beans are cooked with tomatoes, onions, green aji and vinegar. The resulting dish is tangy, savory and pungent in a delicious manner.You might be surprised to learn that the Lima b utter beans have been consumed in Peru for at least 6,000 years now. Check out Liren Baker’s recipe on Kitchen Confidante. The picture is from the same website too.